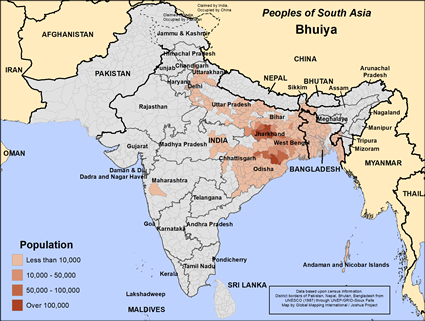 The Bhuiya, a Scheduled Caste, are mainly landless, but a few possess cultivable land. They depend mostly on daily-wage labor, rickshaw-pulling, brick-laying, etc. Their pantheon includes a large number of deities, such as Dihwal, Gorraiyya and Bir Bhairon. Their literacy rate has been quite low in the past, but probably has improved somewhat in recent years. The Bhuiya community speaks well over 30 languages. Evangelistic and church planting outreaches need to accommodate the linguistic subdivisions within the community. A very low literacy rate requires taking the Gospel of Christ to these people primarily in oral form, using stories from Scripture, as well as Gospel recordings and films, and other visual/oral means. 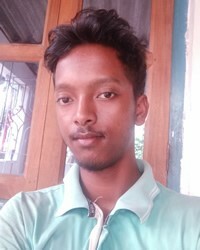 Pray for the handful of Christians among the Bhuiya community, that they will desire to grow in Christ, to become disciples, not merely Christians in name only. Pray they will put on the full armor of God, including the shield of faith. Pray for the Bhuiya community to be able to care for their families, and for schools to be available to their children. Pray they will make schooling a high priority. View Bhuiya in all countries.